Double glazing is a practical investment. It will help to lower energy bills (and your carbon footprint), increase your property’s value, and transform your home into a more comfortable and quieter place to live, whilst also enhancing your indoor air quality and safety. But, how much of an investment will you have to make? Exactly how much are double glazed windows going to cost? Ultimately, the overall costs will depend on what type of double glazing you use to insulate your windows, the type of glass and the unique needs of your windows and your property. But, if you know what your options are and work with an experienced company that’s focused on longevity and efficiency, you can experience all the benefits whilst keeping your costs at the lower end of the spectrum. How Much to Double Glaze My House? It can cost upwards of $30,000 to double glaze a modest sized home - around 100 square metres - if you are using new double glazed windows. However, with retrofit double glazing and secondary glazing, you can expect to pay about one-third of that amount. The only thing is, you will achieve the same benefits and more with retrofit double glazing as you would if you had new double glazed windows installed. With secondary glazing, you’ll save money, but you’ll sacrifice results. How Much Does Retrofit Double Glazing Cost? With retrofit double glazing, instead of paying tens of thousands to insulate your windows with new double glazed windows, you’ll end up paying around $6,000 to $12,000, depending on how many windows there are and the features of your double glazing. For larger homes, or for projects involving lots of upgrades to boost performance, the cost may be a little higher. Likewise, for a smaller home, and for standard double glazing features, you can end up paying less. You also have the option to retrofit one or more windows at a time as you can afford to do so. This means you’ll retain the original look and feel of your current windows because the existing timber frames remain in place. 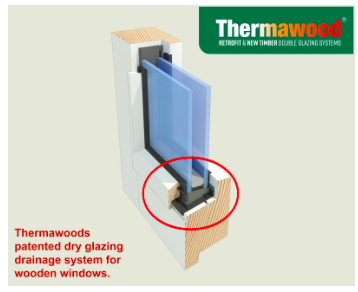 When windows are retrofitted, using Thermawoods unique patented process and tooling the single glass pane is removed and replaced by a double glazing unit (also known as an insulated glass unit or IGU) and Thermawoods patented drainage system. This is the primary advantage of retrofit double glazing: you’ll have to make a fraction of the investment you would have made with new double glazed windows but you end up with the same level of performance, plus full drainage around the IGU and you get to keep the aesthetics and character of your original windows. This is a huge bonus when you have a beautiful set of Victorian double hung windows, Georgian casement windows, or other priceless heritage gems and you don’t want to lose the charm or function. In fact, at Theramwood, we have been approved by Heritage for Grade 1 and State-Listed properties because our unique Retrofit Double Glazing system revolves around not just insulating and improving performance, but also preservation and longevity. With secondary glazing, expect the costs to hover around the same price point of retrofit double glazing. The more windows you have in your home, the higher the price. The reason secondary glazing is more affordable than new double glazed windows is that, as with retrofitting, your current frame stays in place. The difference is, instead of replacing the single glaze with an IGU and drainage, you are simply attaching a second pane of glass or acrylic sheet on the inside of your current single glazing. The downside is you won’t see the same insulation benefits – secondary glazing is about half as effective as double glazing for thermal insulation. Also, there is a higher risk of moisture damage. This is because with a secondary glaze, the gap in between the two panes of glass isn’t sealed as tightly as the air space in a double glazing unit. This makes it easy for condensation to form on the inside of the glass. Damage to your window frames. The other big negatives of secondary glazing are that your windows become an eyesore and will no longer operate as they should do, due to the acrylic sheet being fixed to the inside of your window. Ultimately, How Much Is Double Glazing Going to Cost Me? For new double glazed windows: The cost is in the tens of thousands of dollars, you’ll get all aaathe thermal and acoustic insulation benefits but the appearance of your windows will change aaagreatly. For retrofit double glazing: The cost is about one-third of new double glazed windows, you’ll aaasee all of the benefits of new double glazed windows plus your wooden windows will last aaalonger with the addition of a drainage system and you retain the original charm of your aaawindows. 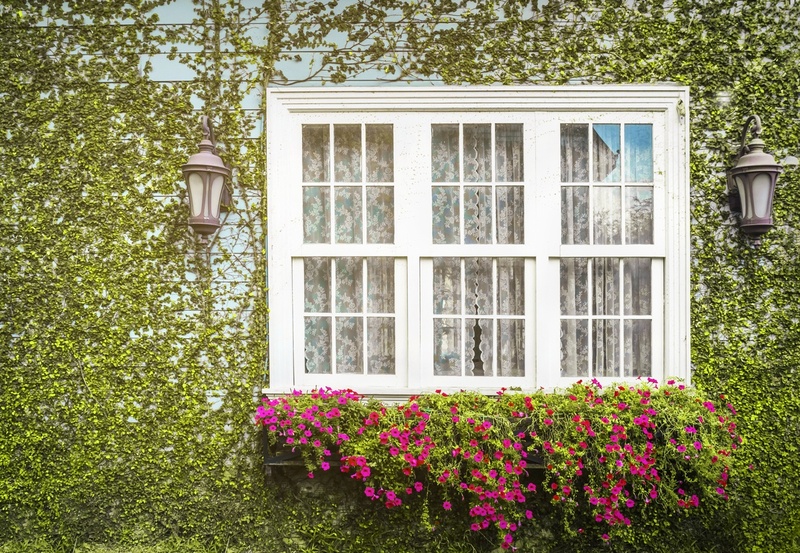 For secondary glazing: The cost is also about one-third of new double glazed windows, but aaayou’ll only achieve a fraction of the performance and you’re more likely to face problems with aaamoisture damage. Then, when you look at the specific needs of your windows, you can get an even more accurate idea of how much double glazed windows are likely to cost for your home. How Much Is Double Glazed Glass? Standard clear glass is the cheapest option for double glazed windows. However, you can also choose special types of glass to enhance the performance of your windows. Some of these special types of glass such as laminated glass are a very cost effective option depending on how you want you double glazing to perform. While this will increase the cost, depending on your climate, the direction your windows are facing and even how noisy your neighbourhood is, that extra cost may be well worth it. In fact, paying a little more upfront when you have your windows double glazed reduces your monthly energy bill and yields serious savings in the long run. Check out the energy efficiency case study one of our customers performed below. Standard Clear Glass: Lowest prices, and in a moderate climate with no serious noise pollution issues like nearby traffic, standard glass may be all you need for most of the windows in your home. Laminated Glass: For acoustic performance and added security, laminated glass is a popular option in double glazed windows. There is an interlayer in laminated glass that dampens sound waves at a cost effective price level. It’s also going to stay safely intact if the glass ever shatters. Low E Glass: Also known as low emissivity glass, low e glass will reflect thermal energy back from where it came. So, it reduces the amount of heat that enters in the summer and reduces heat loss in the winter. 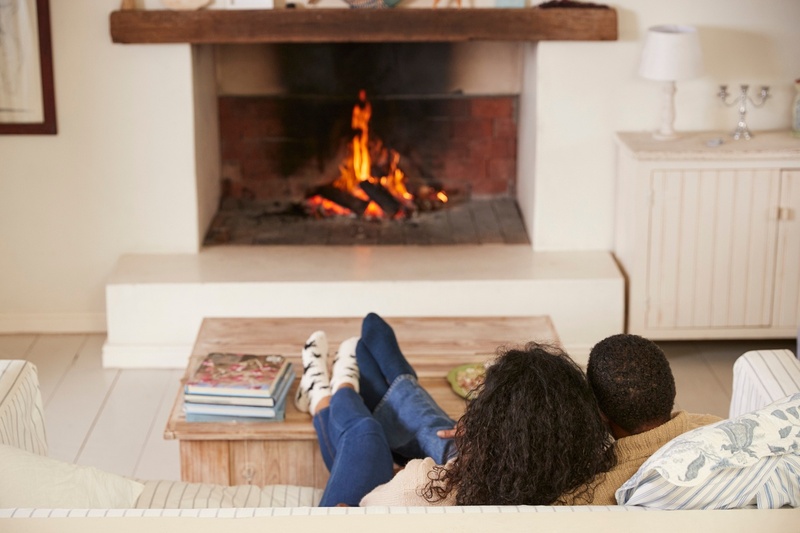 Even in extreme temperatures, your home is still going to feel comfortable inside, although this benefit will cost a little more upfront it saves you a lot of money in the long run. Toughened Safety Glass: Double glazing units made with toughened safety glass are extremely difficult to break. If it does break, it crumbles into small, granular particles rather than dangerous shards of glass. Acoustic Glass: A special acoustic-grade glass such as SoundStop is a step above laminated glass, and a bit pricier. For homes that deal with heavy traffic noise or that are located near airports or trains, an IGU with acoustic-grade glass will be able to dampen most of the noise pollution. How Much Does Double Glazing Cost for Homes in Australia? Australia may have unique window insulation demands, but it's possible to achieve great results with double glazing without going over your budget. By planning ahead and using the right types of glass for each room in your home, you can reduce the costs of your double glazed windows. You can use laminated or acoustic grade glass for windows that face a busy street and low e glass where you have the longest exposure to sunlight in the summer. You can also tailor each double glazing unit, combining different types of glass, different glass thicknesses, and even customising the airspace to achieve the best results for each window, without overspending on special features when you don’t need them. Installing new double glazed windows does cost a lot. The reality is, when the whole frame has to be removed and new frame installed, along with the actual IGU, there are a lot of labour and material expenses. Also, there’s the risk that your home’s cladding, internal lining, and other structural components will become damaged in the process. There’s less downtime – installing a retrofit double glazing system takes only a few hours. There’s less risk – because only the single pane is removed, there’s no risk of structural damage aaato your home. It’s more efficient – window technology today is more advanced than it was a decade or two aaaago, meaning there’s no longer a need to rip out your existing timber windows just to enhance aaathe performance. It’s more cost-effective – you’ll save tens of thousands of dollars because the installation aaaprocess is remarkably seamless compared to a new window installation, but you still get all the aaabenefits and more. By retrofit double glazing your timber windows you not only pay approximately a third of the cost of new double glazed windows, but you greatly reduced costs in the long term as well due to the incorporation of a full drainage system. This allows your retrofitted windows to last far longer than your typical double glazing system because no moisture can get trapped in the window rebate rotting the window from the inside out or causing the IGU to deteriorate and fail. 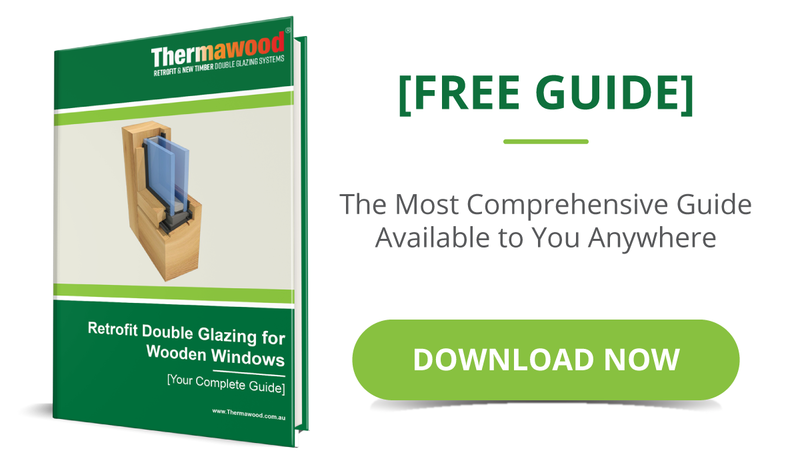 Double Glazing for Sash Windows: How Much Does It Cost? If you have wooden sash windows, you may need window restoration or repair on top of the double glazing. The new wooden joinery itself is also going to cost a lot, which can increase the price even more. The reality is, new double glazed sash windows are more expensive than other types of windows, which means it’s even more important to make sure you understand what you are paying for and what your options are. With the advancements in window technology today, you can achieve all your objectives – and more – whilst staying well within your budget. With an average-sized home, new double glazed sash windows will cost $30k to $40k for a small property. However, you can pay about one-third of that amount if you have your sash windows retrofitted instead of paying for a full window restoration. What about the Costs of Secondary Glazing for Sash Windows? Secondary glazing will cost about the same amount as retrofit double glazing. So, you’ll save money with both of these options. However, there’s a major problem with secondary glazing: the windows aren’t re-weighted. Basically, you’ll end up with a second pane of glass attached to your original glass, and that will throw off your window movement and not allow it to function as it should or at all. 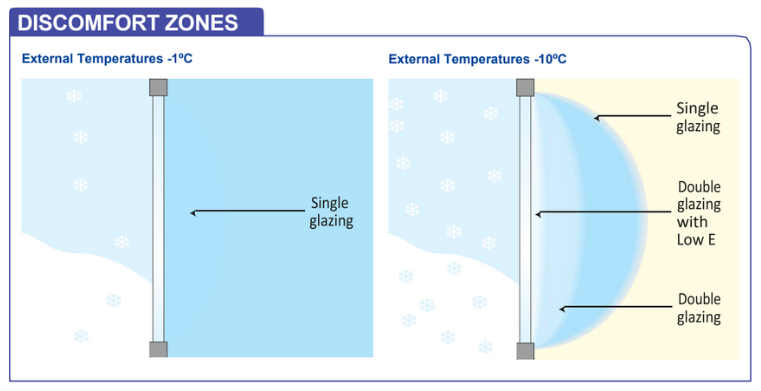 Secondary glazing also doesn’t offer the same thermal insulation benefits as double glazing. 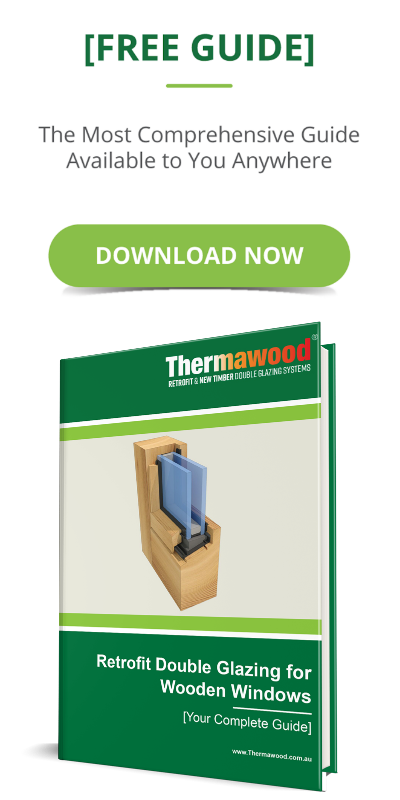 At Thermawood, when we retrofit double glazed sash windows, we re-weight the windows to accommodate the addition of the IGU. This is a standard part of our process, and, we believe, an essential part. After all, your windows should work like new after being double glazed. They shouldn’t create new problems. How Much Do New Wooden Sash Windows Cost? New wooden sash windows are more expensive than other types of windows or windows made from other materials. This is why the cost of new double glazed windows compared to retrofit double glazing is so much higher when you are dealing with timber sash windows. But, you probably don’t want to lose the warmth and character of the wood, especially if you have beautiful Georgian, Victorian, or other classic period windows. This is why retrofit double glazing is such a sensible choice. How Much Does Sash Window Restoration Cost? Sash restoration will add to the cost of double glazing because most window companies are not experienced with sash window repair and restoration. As we work with older windows all the time, we actually include window refurbishment in the process. If your windows need any repair or restoration work to ensure they’re in excellent condition, we’ll take care of it while your windows are being double glazed. This will save you money as you won’t have to have your windows taken down just to pay for restoration work. Even if you have century-old sash windows, you still can enjoy a cost-effective window upgrade. When you work with a company that understands the needs of wooden sash windows, you can have the benefits of modern double glazed windows and the charm and character of your original timber sash windows. When you get the best value, double glazing your windows can be a remarkably worthwhile investment, especially with a window system that is designed to last for decades. Eventually, you’ll gain the investment back in lower energy bills. Your home will be worth more. And, you’ll feel comfortable, safe, and at peace in your own property with modern, high-performance windows. In the graph below you can see how the usage of power in a home that a Thermawood franchisee in Melbourne retrofit double glazed changed dramatically for the time period of May 2017 to August 2017 after the house was double glazed compared to the same period the year before when the house was not double glazed. 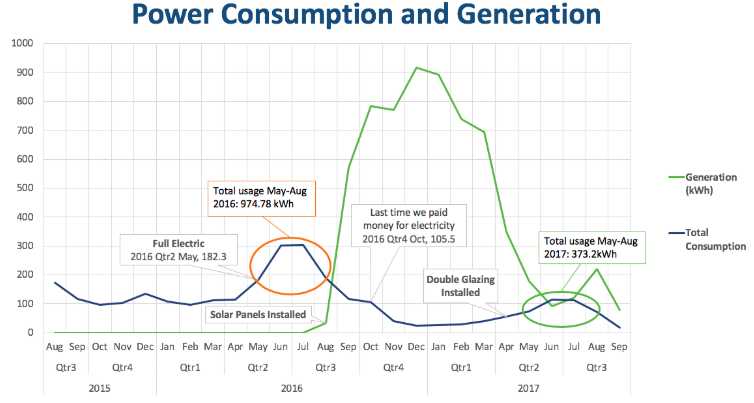 What makes this case study even more fascinating is that the homeowner installed solar at the end of July 2016 and took out all gas operated appliances which were the water heater, cooktop and ducted heating and replaced these with electrical equivalents. Plus, he started working from home. Even with the increased electrical usage from the appliances that were previously gas and the homeowner working from home you can see the total power usage reduced dramatically from 974kwh in May-August 2016 to 373kwh in May-August 2017.